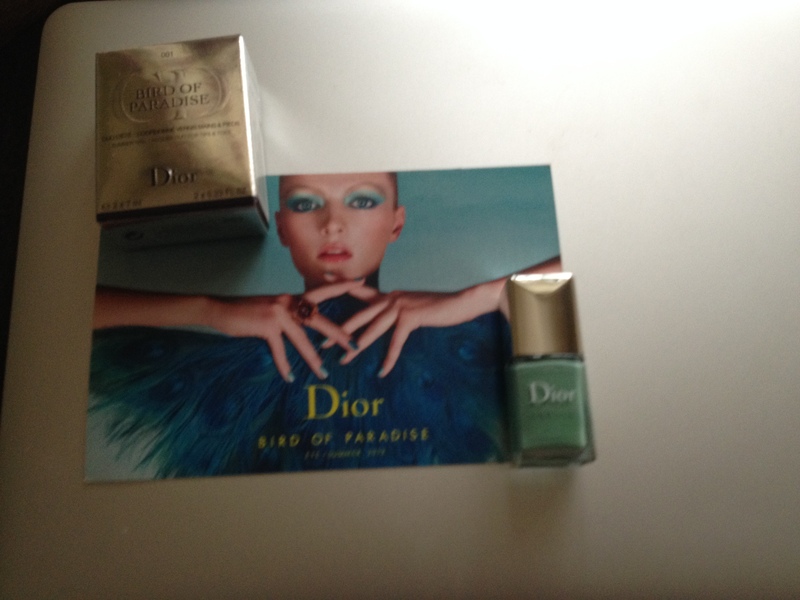 Mint green from Dior Bird of Paradise summer 2013 collection. 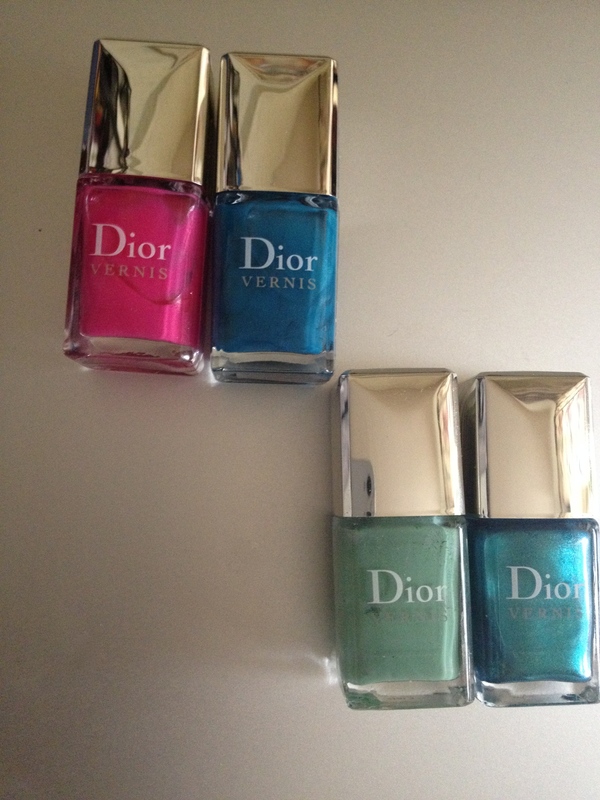 Remember this vibrant summer range of shades from Dior? Among them there were two sets of nail polish duos for hand and toe nails. 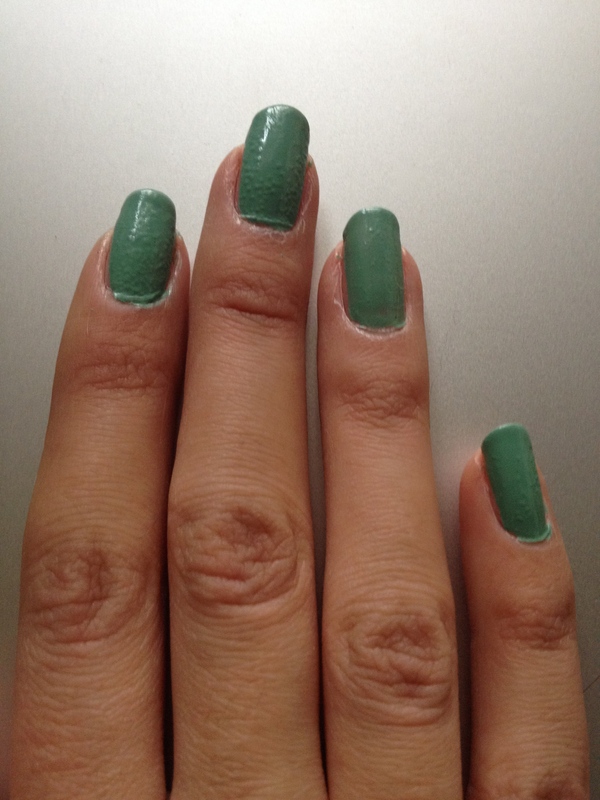 Samba 001 has a mint shade in it and a pearly blue green. 002 Bahia has a hot pink and a dark turquoise, just like mint green it’s not crazy and neon, it’s calm and chic. Well, and this bright enough, but elegant and not neon green is totally my kind of thing. I just wish it were not limited edition. 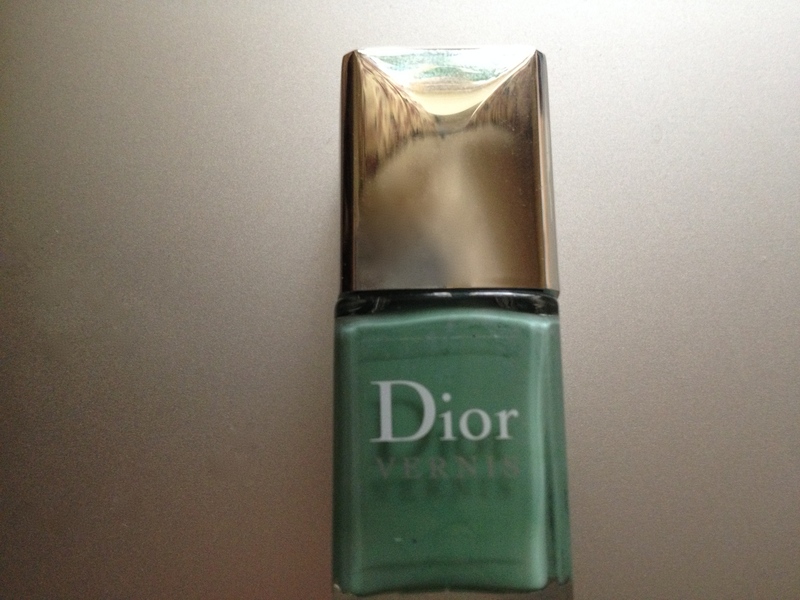 As you can see in the swatch, Dior old nail polish formula doesn’t last as well as Chanel nail polishes do. 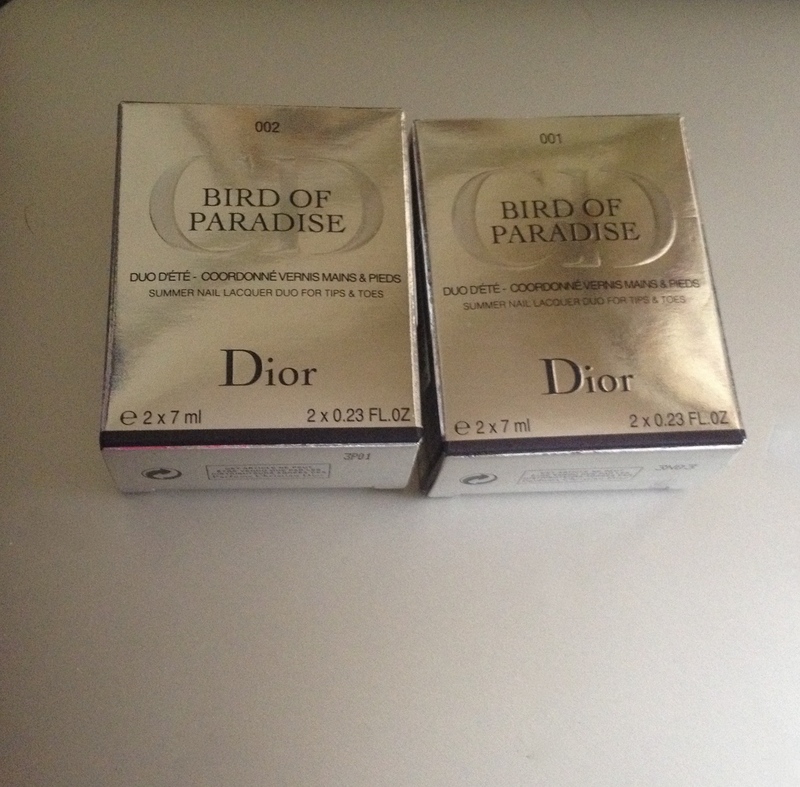 So, I’m really pleased that Dior changed their formula. 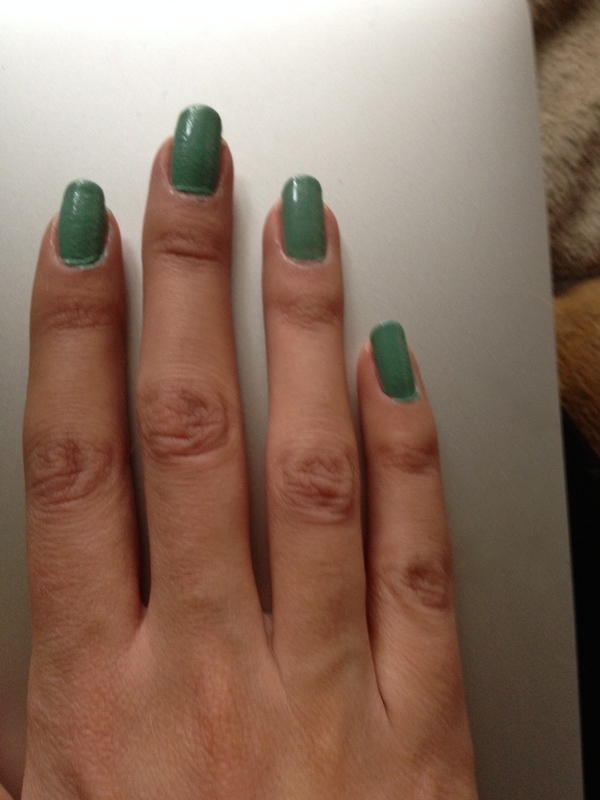 Haven’t used their new nail polish range enough, so I’ll have to weigh in later on whether this formula is an upgrade. I do hope Dior improved it though. They do have some very appealing shades in their new range.